Stephen Hawking in 1979. Photo by Santi Visalli/Getty Images. 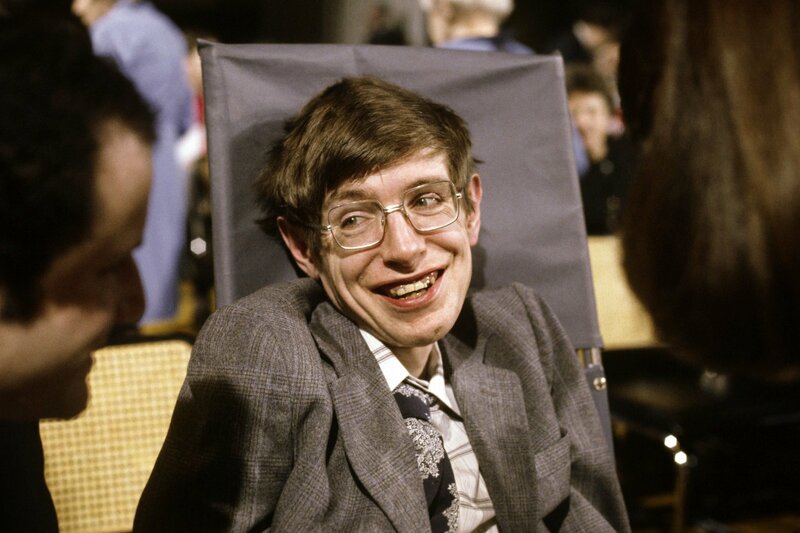 Hawking at Cambridge in 1988. Photo by Getty Images. Hawking attended Oxford University and went on to earn his doctorate from University of Cambridge. During Hawking’s graduate studies, doctors diagnosed him with motor neuron disease (also known as ALS or Lou Gehrig’s disease) and gave him only two years to live. 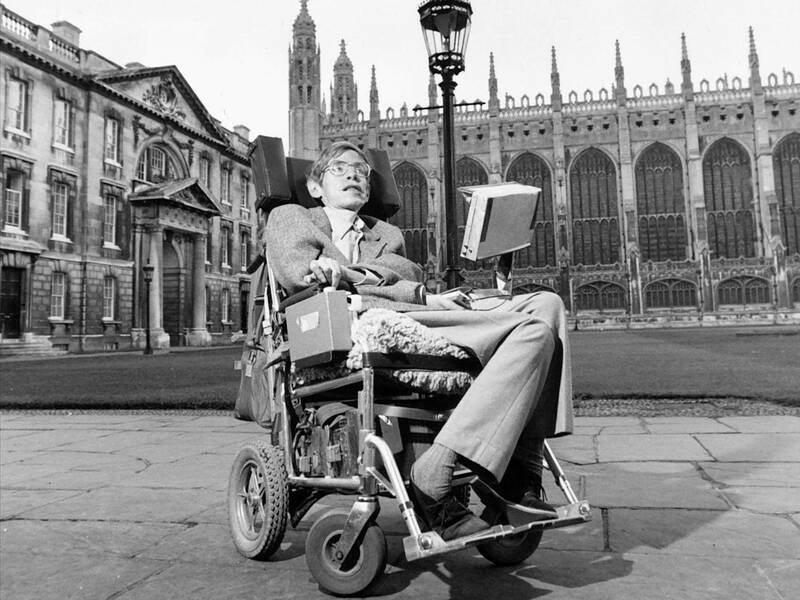 That prognosis proved to be unfounded: 11 years later in 1974 he outlined his theories on black holes, known as “Hawking radiation.” In 1979, he was appointed Lucasian Professor of Mathematics at Cambridge, a position once held by fellow physicist Isaac Newton. Hawking published “A Brief History of Time” in 1988, and the book sold more than 10 million copies. The book shot to the top of Amazon’s best sellers list earlier today and is currently ranked second. Felicity Jones, Stephen Hawking and Eddie Redmayne at the UK Premiere of “The Theory Of Everything.” Photo by Karwai Tang/WireImage. Hawking married his former wife, Jane Wilde, in 1965. They separated 25 years later and Wilde went on to write about their relationship in two books, “Music to Move the Stars: A Life With Stephen Hawking” and “Traveling to Infinity: My Life With Stephen.” The 2014 film “The Theory of Everything” drew on Wilde’s latter book to depict various aspects of Hawking’s personal life, including his first marriage. Eddie Redmayne, who played Hawking, won an Oscar for his performance. Hawking was notably outspoken in his opposition to religion. “I regard the brain as a computer which will stop working when its components fail. There is no heaven or afterlife for broken-down computers; that is a fairy story for people afraid of the dark,” he said in a 2011 interview with The Guardian. He later confirmed in an interview with Spanish newspaper El Mundo that he identifies as an atheist. 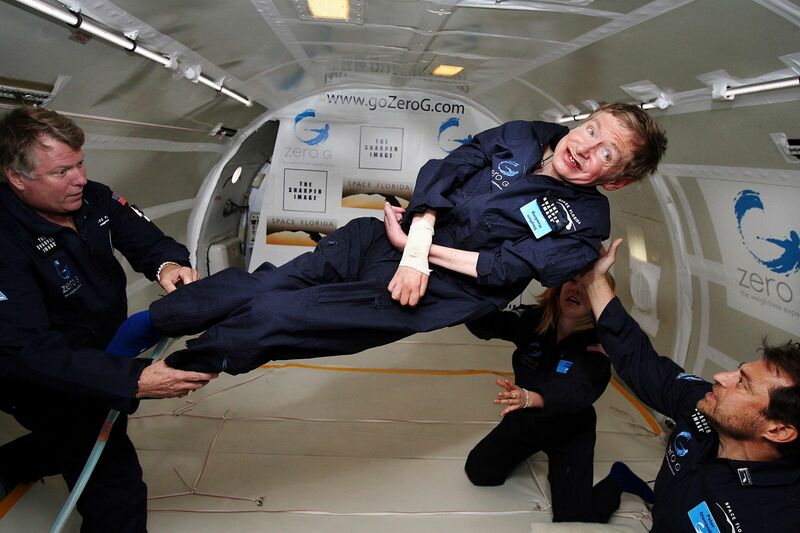 Hawking’s legacy is multifaceted: he was a brilliant mind, an inspiration to the disabled community, and a notorious daredevil (he celebrated his 60th birthday by going up in a hot air balloon, broke his leg while speeding in his wheelchair, and took part in a zero-gravity flight). “I want to show that people need not be limited by physical handicaps as long as they are not disabled in spirit,” Hawking famously said.